I AM Cherished. 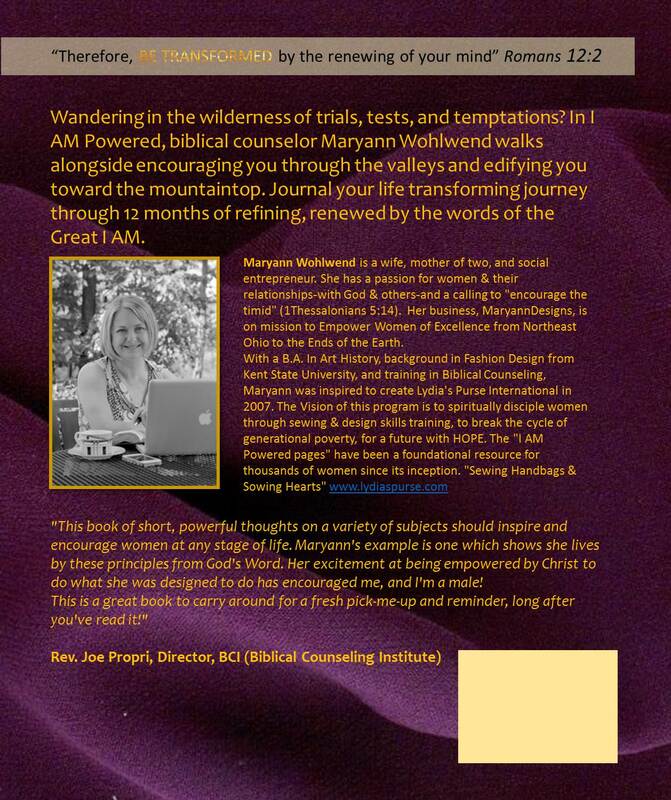 photo credits for I AM Powered by Maryann Wohlwend. Lydia’s Purse International was inspired by a vision borne from counseling women, one to one. Based on my education as a fashion designer at Kent State University & training as a BIBLICAL COUNSELOR, I created the ministry to empower & encourage women economically & spiritually. 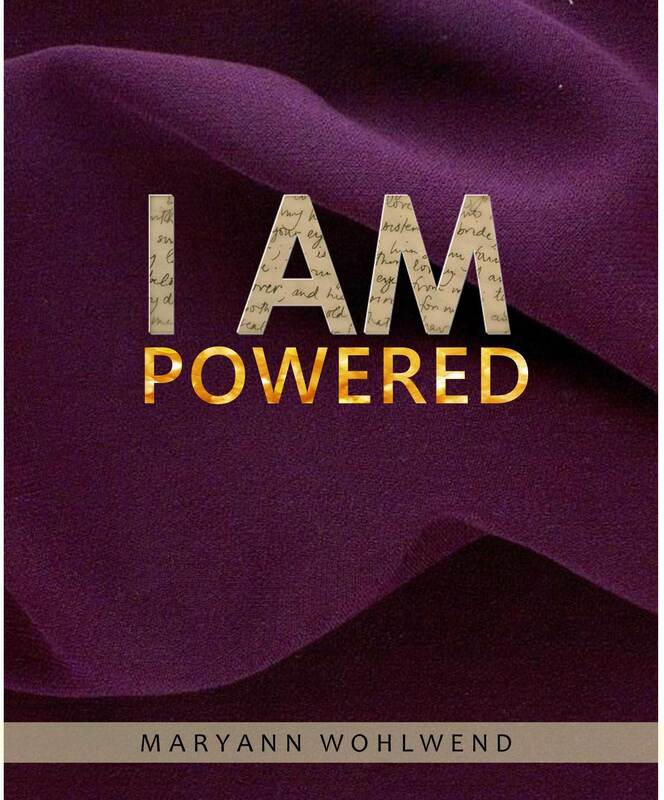 I AM Powered was written for the ministry, as a heart to heart talk with women in a classroom setting, beyond the walls of a counseling session, connecting us, 121 as we walk through life together. Lydia’s Purse International hosted classes at The Haven of Rest Homeless Mission’s Harvest Home for Women in Akron, Ohio, USA & in Morogoro, Tanzania, AFRICA.